Tell me you can relate?? In September of 2014, I found myself deflated, bitter and drowning in mom guilt. I was working over 40+ hours a week at my full-time job and getting by day-by-day just checking the items off of my to-do list. I felt sad and constantly rushed at home. I felt like I was missing my people even though we were together in the chaos. My heart longed to have fun and celebrate with my family. While running into the grocery just to pick up a couple essential items I needed for dinner that night I noticed an adorable section of fall cupcake mixes, pumpkin flavored treats, and seasonal items. I decided to pick up a little jar of pumpkin and fall themed sprinkles. I knew I didn’t have the time to make anything fancy but I thought I could do something with them. The following morning I was preparing my son’s frozen pancakes and fruit for breakfast and I noticed the jar of sprinkles on the counter. I added just a couple over the top of his breakfast. It was sooo cute and fun. I loved it! Those pancakes made me happy and gave me a little pep in my step. When I put my son’s plate in front of him, his eyes lit up and he squealed with excitement. My Husby came from the other room to check out what was going on. He also had an expression of delight on his face and announced he too would be having frozen pancakes with pumpkin sprinkles on top for breakfast. That morning changed my life. I realized that celebrating with my family didn’t mean it had to be fancy, expensive, or take a lot of time. The small gesture of adding sprinkles to frozen pancakes made my family feel loved and excited about the day. The reason I am sharing this with you is because I want you to know that living a life celebrating your people every day is possible. You can work a full time job, have a busy lifestyle, and still be intentional about celebrating your people at home. I’ve figured it out and I want to help you build strong family memories. I want to help you win at being mom! 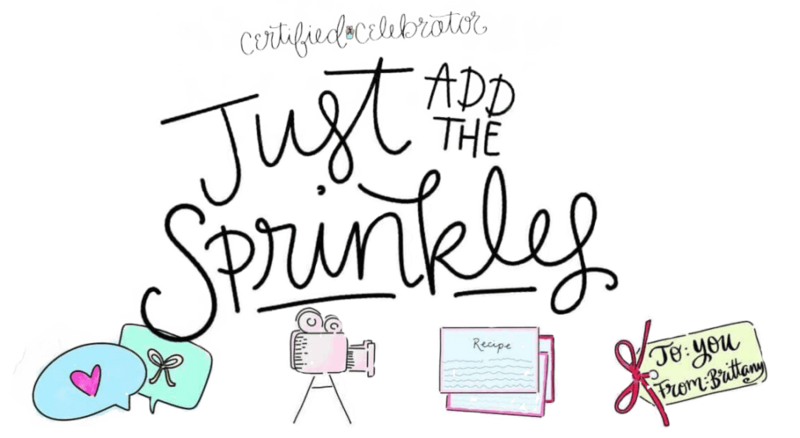 Will you join me in my mission to get every home adding sprinkles to pancakes and celebrating a little something everyday?